Ok, time for some VRF lite basics and we can throw in some Dot1Q trunks to go with it. As you can see, we are getting a bunch of 200.200.200.x/32 routes now as well as a 200.100.200.100/32 route. For this exercise, lets filter our all the 200.200.200.x routes we are receiving from our neighbor. 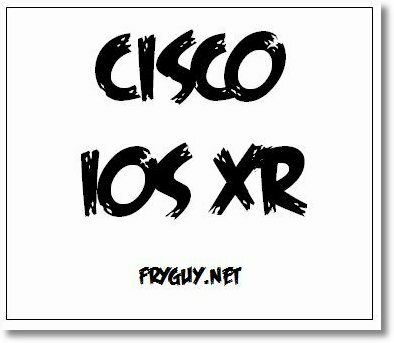 BGP, this is where it starts to get different with IOS XR. First up, configuring an iBGP peering with R2’s 150.1.12.2 in AS1 and advertise our loopback interface. Now, we can configure the neighbor. Notice all the commands for the neighbor are under the neighbor now – not next to the neighbor.